This document provides a standard procedure for disciplining staff in terms of misconduct and performance and to ensure consistency throughout the company. Discipline means the actions taken by management, in terms of this procedure, against any employee or group of employees, in order to correct unacceptable behaviour or performance, or to comply with the rules and regulations, conditions of employment and/or statutory requirements. The first objective is to ensure the maintenance of satisfactory work performance and/or acceptable standards of conduct of all employees measured against job descriptions. The second objective is to ensure that employees are treated fairly and consistently and any disciplinary action is taken for a fair reason and in accordance with a fair procedure. The third objective is to ensure that discipline is based on the philosophy of discouraging and/or correcting unacceptable conduct and/or unsatisfactory performance and encouraging the employee involved to change such conduct or performance. Be represented by an employee from the workplace where he/she is employed. It is the employee’s duty to arrange for such representation. When the employee is a shop steward, a union official may represent the employee. Be notified in writing of the charge before the disciplinary hearing, so that the employee and his/her representative have the opportunity to prepare for the disciplinary hearing. Request an interpreter. It is the duty of the company to provide an interpreter should the employee request one. Be allowed to state his/her case, and defend him/herself, both in respect of the charges as well as the sanction. Call witnesses. It is the employee’s responsibility to arrange for the attendance of such witnesses. Cross-examine any company witnesses, or to have copies of any documents produced as evidence at the hearing. Appeal to a higher authority or higher level of management in accordance with the appeal procedure set out hereunder. Be notified in writing of the outcome of the disciplinary hearing. Copies of all documentary evidence and statements presented as evidence at the disciplinary hearing as well as a copy of the minutes of the disciplinary hearing. 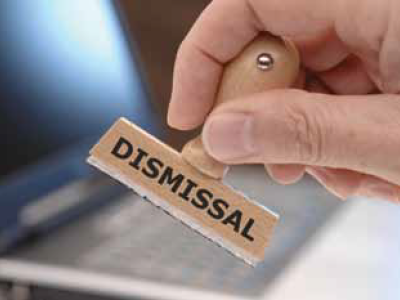 Where an employee refuses and/or fails to attend the disciplinary hearing, the disciplinary hearing may be held in his/her absence without further notice to him/her. A record of the proceedings will be kept by a person appointed or nominated by the chairperson. Whenever management alleges that any employee has transgressed the company’s rules and regulations, conditions of employment or statutory requirements, then the employee shall be liable for disciplinary action to be taken by management. In line with the primary purpose of this procedure (i.e. constructively to correct unacceptable behaviour/performance) management must take action as soon as possible after such transgression becomes known in each case, evaluate whether formal disciplinary action is necessary, as opposed to informal action exerted by means of education, training, induction, counselling, discussion and/or reprimand. Following any level of disciplinary action, the employee may appeal against the disciplinary action. Where more than one employee is alleged to have committed the same or similar transgression(s), then management may take informal or formal disciplinary action against the employees as a group. the date, time and venue where the disciplinary hearing will take place. communicate the right of the employee to lodge a disciplinary appeal should he/she be dissatisfied with the action. Written warnings shall remain valid for a period of 6 (six) months unless otherwise directed by a member of management issuing the warning. Notwithstanding the right of management to act in terms of this procedure, management retains its rights to seek legal remedies against transgressors. Such action is separate from action in terms of this procedure. Similarly, action may be taken against employees by external bodies governing their roles and functions. Such action is also separate from action in terms of this procedure. Reference specifically is made to civil steps in terms of theft and fraud. When an employee commits an offence where management believes that in the circumstances, informal action would not be appropriate, then management shall initiate the conducting of a formal disciplinary hearing, provided that any formal disciplinary action taken will be in terms of this procedure. A disciplinary hearing shall be initiated by a member of management. Should circumstances warrant the employee to be suspended, pending the conducting of a disciplinary hearing, then such suspension shall be on full pay and without prejudice to the findings of the disciplinary hearing. Participants in the disciplinary hearing shall be a chairperson (who shall not be of a lower seniority than that of the initiator), the initiator of the allegations, the employee, the employee’s representative, and interpreter, if necessary, a scribe and a human resources practitioner, and any other people such as witnesses, who may be required. Where any participant in the disciplinary hearing is unable to attend the disciplinary hearing, the chairperson shall decide whether it is necessary to adjourn the disciplinary hearing. A disciplinary hearing shall only be conducted in the absence of an employee in cases of desertion, refusal to attend a hearing, etc. At the start of the disciplinary hearing, the chairperson shall communicate to the employee his/her rights and the procedure to be followed during the hearing. The chairperson shall consider all the facts and evidence and shall thereafter make a finding on the facts and evidence. The disciplinary hearing may be adjourned for this purpose. If, after considering all the evidence, the employee is found not guilty, this fact shall be recorded. The employee shall be informed that the hearing is closed by the chairperson. If, after considering the evidence, the employee is found guilty by the chairperson, the employee must be informed thereof. The chairperson must then consider any mitigating and aggravating facts (for example, the record of previous warnings) and consider all relevant factors before deciding on what disciplinary action to take. When the chairperson has reached a decision regarding appropriate disciplinary action, the employee shall be informed thereof and the reason for this decision. On completion of all proceedings, the chairperson shall ensure that all the necessary administration is completed. Should an employee appeal against the finding of the disciplinary hearing, such appeal must be lodged with the company/department/office manager. Appeal hearings may be heard by the manager or a member of management nominated by him/her who is of the same or of a higher status as the chairperson of the disciplinary hearing. Any employee has the right to appeal against any disciplinary action taken against him/her. Notice of such appeal shall be in writing and in accordance with the time limits set out in this procedure. The appeal hearing shall be conducted in accordance with the general principles and time limits set out. During the appeal hearing, the appellant must present his/her case, stating the nature and grounds for the appeal, and lead evidence or argument in this regard. The appellant shall have the right to state or have a representative state the case and to call witnesses. The company shall then have the opportunity to state its case and call and cross-examine witnesses. The chairperson shall then determine the merits of the appellant’s appeal and make a determination in writing. The following schedule constitutes a guide as to the time limits within which the various stages of the disciplinary procedure are to be initiated. The time limits are in no way prescriptive and may be varied having regard to the particular circumstances of each case, subject to the requirements of fairness and reasonableness. An employee’s signature on any form is not an admission of guilt and is merely an acknowledgment that he/she has received the form. Should an employee or representative refuse to sign a form, it will not prevent the disciplinary action from being taken, and their refusal should merely be noted on the form.